Kidstone pass is a medium difficulty climb from Buckden towards Asygarth in the Yorkshire Dales. It climbs to 445 metres. Buckden; straight on takes you to Aysgarth over the B6160. Turning left takes you to Hubberholme and Fleet Moss. The climb is situated at the upper reaches of the Wharfe valley, just after the picturesque village of Bucken. The climb begins with a gentle incline which takes you away from the village. There are two roads turning left towards Hubberholme. After you pass these left turns, the road begins to increase in gradient, marking the start of the climb proper. The gradient is fairly constant, averaging 8%. As the road edges up the hillside, the climb becomes just a little steeper. The maximum gradient of the climb is 15-16%, which might have you getting out of the saddle. The gradient is fairly unrelenting untill the last few hundred yards where it flattens out before cresting the summit. If you have time to look, whilst climbing there are some excellent views over your shoulder. If you are too focused on climbing, you will have a great view from the top of Kidstones pass looking down towards Bishopdale. The road is in good condition and wide enough for two passing cars. The traffic isn’t too heavy even in the summer months, so it makes a good place to head to. It is not, by any means, the most challenging climb in the Yorkshire Dales, but it does have the rare distinction of being the first categorised climb in the 2014 Tour de France (stage 1) Compared to climbs that the tour will tackle later in the tour, Kidstonse looks just like a little hillock. But, category 4 or not, it’s still a good test for the amateur cyclist. It is also excellent cycling country around Kidstones pass. 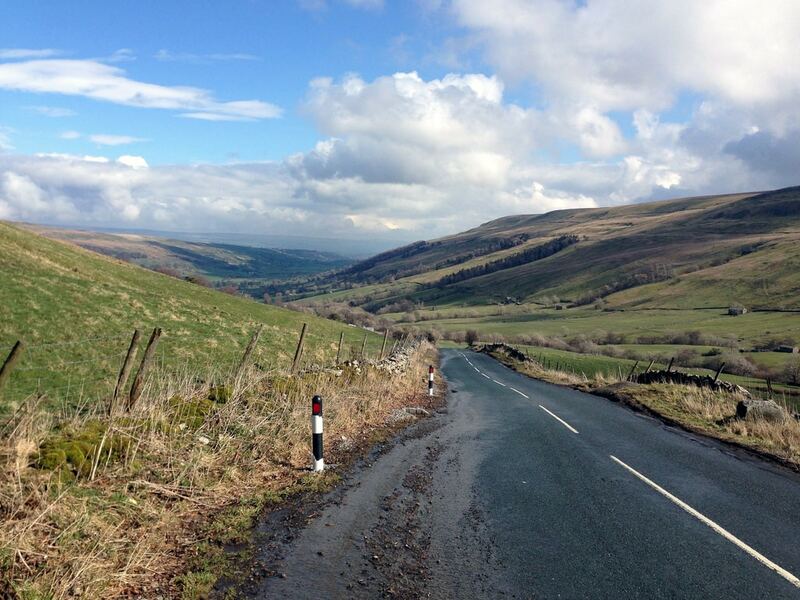 There are some great roads from Ilkley towards Burnsall and then up the Wharfe valley towards Kettlewell and Buxton. 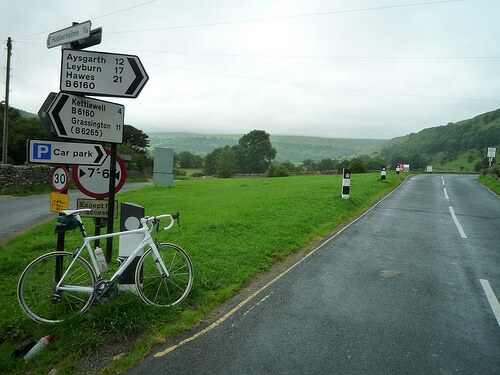 Once over Kidstones Pass you drop into Wensleydale. 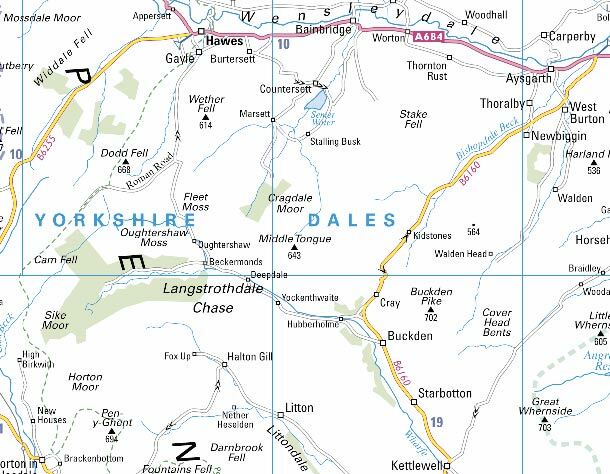 From Aysgarth, turning East takes you towards Middleham; turning West takes you towards Hawes (route of 2014 TdF) If you fancy a more testing challenge, then coming back from Hawes, you could go back over Fleet Moss and down to Hubberholme and back to Buckden. That is a real epic and more challenging than Kidstones Pass.